One of the most important things brides-to-be fail to understand is that wedding planning is a decision-making endeavor. The decisions made should encompass things like the wedding venue, food menu and theme. Most brides find it difficult to reach a consensus when making these decisions. Let Sandals help make those decisions easier. You can even test drive the wedding weekend before hand with your fiancé. What is the Sandals’ Test Drive Program? The Test Drive program offered by Sandals targets couples who are willing to spend as little as $500 for their honeymoon. The program lasts for two nights and allows couples to get the most pleasurable experiences. The Sandals’ Aisle to Isle program also assures brides-to-be that their dream wedding just became easier to plan. 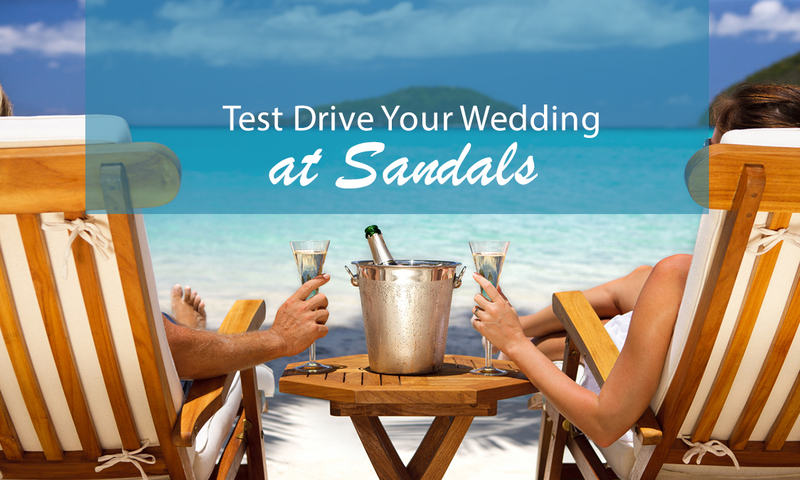 The Sandals’ Test Drive program helps to turn your dream honeymoon destination to your actual wedding location. It caters for all the needs of your upcoming wedding including the reception and honeymoon. It emulates the feeling of a vacation to your guests. You will also benefit from the help of an event designer, wedding planner and wedding concierge. If you are looking to have your wedding needs taken care of in personalized detail, then the Test Drive program suits you. The Sandals’ Aisle to Isle service will help make your wedding day as unique as you want it to be. The good thing about the Test Drive program is that it lets you and your spouse to have a glimpse of these offerings with no commitment. You and your spouse will get to taste the cake samples and wine. You will also get to sample decor offerings inspired by brands such as Nature, Sand &Sea and The Islands. The one weekend paradise will test drive you to all the aspects of your upcoming wedding. These include a preview of the experience the resort will offer your guests and photo tests. Let My Wedding Financing help you with your dream weeding weekend.